Roof lights not only have the benefit of adding extra natural light and air flow to your home, they can also be used to add an element of style and intrigue to your interior and exterior design. Every element of your home should reflect your personality, and there are plenty of opportunities to be creative with its appearance. From non-traditional design, to dynamic colours and equally varied uses, we’ve picked out some of our favourite ways that roof lights have been utilised for all sorts of spaces. Roof lights traditionally come in square and rectangular shapes. Circular rooflights units are available, but in order to save a lot of money purchasing a bespoke model in your chosen shape and size, you can have a traditional square installed, and get a contractor to build a frame internally. This will give the appearance of a circle, triangle or any other shaped hole which can create a focal point to any space, and an interesting talking point for your guests too. 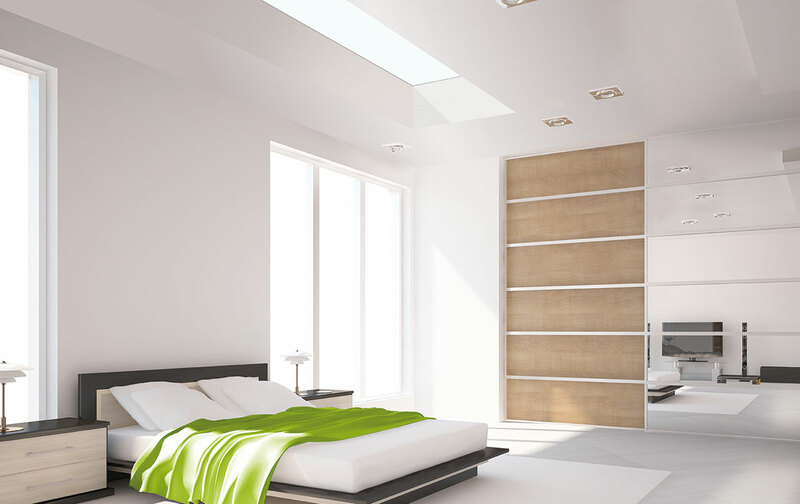 In order to let plenty of light into a room and create a modern looking clean space. Large glass units always look impressive but the price of large roof lights will escalate massively over around 3.5 squared meters. 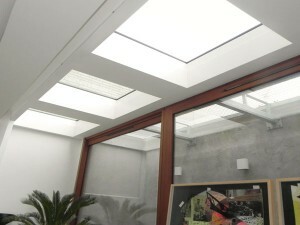 An alternative is to consider having multiple roof lights installed in close proximity to achieve a similar effect. This will be more cost effective way of letting in the same amount of light. Shadow can be just as interesting as light so with a little bit of creativity when placing your rooflights can allow slats. This can create brilliant silhouettes when the sun is out, as well as provide a wonderful star gazing opportunity. An exciting new alternative is our modular roof light that allows minimal glazing bar. This idea is for the brave. 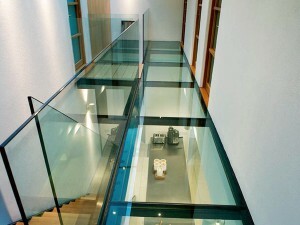 If you fear heights then no matter how robust the glass is, this will probably still make you feel a bit queasy. However, if you like the idea of having a transparent walkway landing, it is a great way of allowing more light through your home across levels and creating an incredibly modern look, the walkway is variation of the walkon roof lights. On top of these benefits, the floor will be incredibly easy to clean and maintain. 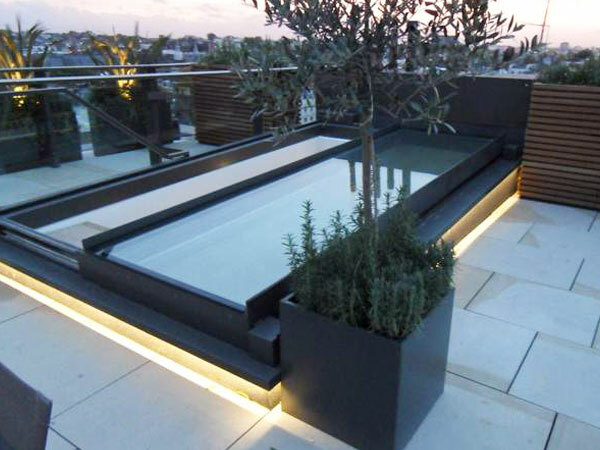 If you have a roof terrace, roof lights can be adapted to glide across like sliding doors so that you can access rooflight the terrace easily. Because the units are secure and the glass is incredibly strong, you don’t need to worry about the safety aspect of having an additional point of entry to your home. These are just a few of the ways your roof lights can be used to add interesting and stylish elements to your home. If you’d like to find out which units are best for your ideas, then get in touch with us with your brief and we’ll let you know or take a look at our Fixed, Opening, Eco, or WalkOn Rooflights pages for more information and to see our stock sizes. 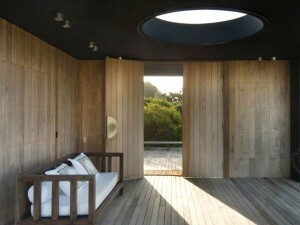 Have you seen any other roof light designs that you enjoy and you are inspired by? Let us know in the comments below.